Taking the first step is always the hardest when it comes to addiction recovery. Knowing that you have taken that step with a highly rated, professional, medically managed detox facility like Buena Vista ensures that the first step is one to build on. Staffing. Our expertly licensed staff, clinicians and medical personnel are some of the best-of-the-best in mental and behavioral health. Staff in key roles have achieved Master’s-level educations and have unparalleled experience in substance abuse treatment and detox. Case Managers. We lay the groundwork with case managers who follow the success of our patients and keep each patient’s family and loved ones actively involved for years to come. Comprehensive Services. We provide our patients with access to all services needed in their recovery through our affiliations with nationally recognized service providers who are leaders in behavioral health. Peer and Family Culture. Our uniquely positive peer culture has been highly successful in programs designed by our team of professionals. We promote and cultivate a family atmosphere for our patients in which they can feel loved and welcomed. During treatment, each patient learns how to nurture healthy relationships and boundaries with others. Modern Facility. We provide a modern, state-of-the-art facility in which our patients feel comfortable, safe and secure. Safety is our number one concern at Buena Vista Recovery. Our approach is simple: to make sure every individual we serve is as comfortable and safe as possible through our individualized care approach. Detox is the first step in stopping addiction and we want to help patients take that first step safely. Face it, we do not know exactly what kinds and amounts of drugs you or your loved one has consumed, nor do we know how the body will rid itself of the substance. A risk of death is always looming when coming off certain drugs and alcohol, so why wouldn’t you choose a licensed treatment center staffed with a physician who specializes in getting patients safely off drugs and alcohol? Buena Vista Recovery is licensed as a 3.7 ASAM (American Society of Addiction Medicine) detox facility. ASAM utilizes a detailed set of criteria for the level of care provided, and Buena Vista Recovery is at the top of the ASAM criteria scale. 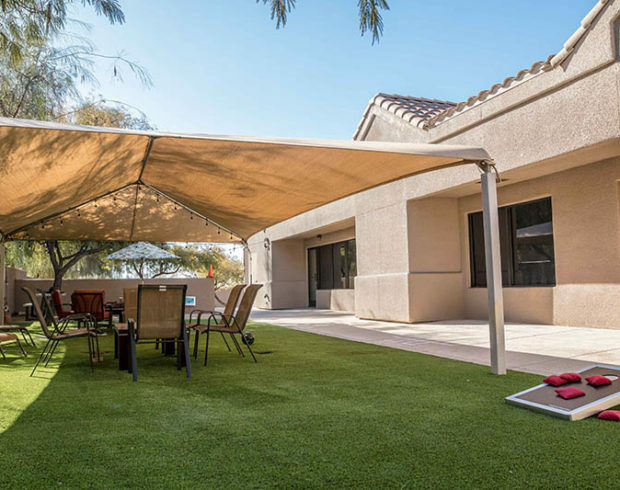 Called Clinically Managed High-Intensity Residential Services for Adults, our level of care provides 24-hour services with trained counselors to stabilize multidimensional imminent danger and to prepare participants for outpatient treatment. Patients in this level can tolerate and use full active milieu or therapeutic communities. Ready to regain control of your life? Take the first step on your journey to addiction recovery today.